A really terrific yearbook theme is one that will thrill your peers when they receive their yearbooks and be remembered fondly for years to come. Customarily, a yearbook theme is chosen at the beginning of the school year. Since the yearbook staff is traditionally composed of aspiring writers, journalists, photographers, and graphic artists, creativity can run rampant at these meetings. Come prepared with a vision of the ideal yearbook you want to create. Get creative and play with these ideas. These suggestions are just the start of what you can achieve when you seek to create a truly original yearbook. Keep in mind, a yearbook should always be inclusive. Never create it with one specific group in mind. You want to ultimately create a memory book the entire class will collectively enjoy. 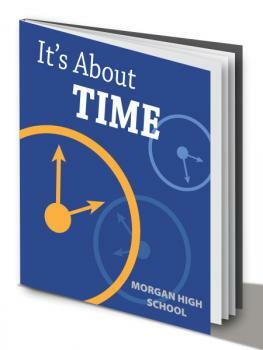 The idea of time is a versatile but always relevant theme for a high school yearbook. You may opt to place different images, photographs, and drawings of how you keep time on pages throughout the book. You may even opt to use different methods to represent each section. An hourglass may represent the senior class, while an alarm clock may be more appropriate for the freshmen. Choose a pretty font to place quotes about time and lyrics from songs that reference time throughout the book, too. There's a reason those "The Year You Were Born" cards and videos are so popular to give at birthdays. People love to explore the pop culture that was associated with a certain place and time that was significant to them. While teens will love seeing references to the popular things the year they graduated, it will have the added benefit of being meaningful years from now, too. You can take this in the direction of creating pages that resemble the layout of the most popular social media websites. You may include lists throughout the yearbook of the Top 10 in movies, music, and television. When possible, keep the focus on teen-related aspects of pop culture. Here is a theme that you can really play with because there is the obvious symbolism of "true colors" being the very essence of who your peers really are. Also, it enables you to creatively weave your school colors throughout the book. Stage photographs and take natural ones at events throughout the year of students wearing school colors with pride. Depending on your yearbook provider, you can alternate background pages in the school colors. You may even write a line or two that parallels how the true colors of the individual and the class as a group can shine together to really drive home the theme. 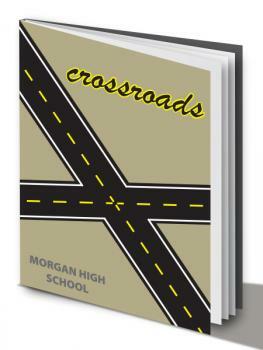 Celebrate the unlimited choices of the teen years with a yearbook that accentuates the many crossroads teens face. Bring this theme to life in however many ways you like within the book. You could narrow in on "the path less traveled" as a reference to the Robert Frost poem and bring in the symbolism of individuality, too. On the other hand, you could also go in the direction of keeping it more general and opt for art that depicts various types of crossroads and visual depictions of choices teens face. Accentuate the message that the future is wide open, and you can take whatever path you choose. Yes, We Go Together is an iconic song from the ultimate teen musical, Grease. The theme itself can really go in lots of directions of inclusiveness and how the many different kinds of teens fit together as one class. You might choose to include song lyrics and other quotes of groups and togetherness. Recreate pictures from the end of the film with the senior class walking arm in arm. Use the opportunity to dispel myths and teen stereotypes by including photos of friends that have vastly different interests. Interview students, and include great quotes they give on the subject of togetherness and unity. Stage fun shots like one of band members, cheerleaders, academic champions, and sports stars all hanging out. This is a very uplifting yearbook theme because it brings attention to those who are working to make the world a better place and those who have overcome incredible odds to achieve good things. You may interview students who are doing volunteer work in the community, those who have faced illnesses, and teens who worked really hard to overcome obstacles to be on sports teams or achieve academic standing that was difficult for them. You may opt to include heroes for teens to emulate from local adults, too. You may include stills from movies about heroes, feature quotes from heroes, and celebrate teachers who are heroes to students. The theme of reality shows is ripe for spoofing, and this theme does just that. Make the yearbook seem like a reality show in which each student is the star. Keep it classy, though, and don't pay homage to shows that could be interpreted as making fun of groups of your peers. References from shows like Survivor, Dancing with the Stars, and American Idol can easily be woven into the yearbook because they parallel easily with events that teens experience throughout the school year. Be sure to accentuate ones that are particularly popular during this particular school year to keep it timely. You may want to avoid quotes that don't have a lot of substance, but you can include inspiring ones throughout the yearbook. 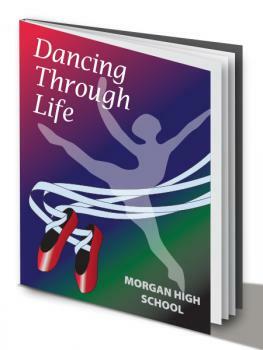 Not everybody's a dancer, but dancing through life is a metaphor all teens can relate to in some way. You may opt to place different song lyrics that deal with dance from songs like, I Hope You Dance, Dance with Life, and Dance My Pain Away. This yearbook theme is really fun, too, because it allows you to bring a focus to the different dances your school has throughout the year. Art and images of dance can be combined with messages of making the most out of life. Through the Years celebrates the beauty that continues to develop over time and how individually awesome each year truly was. Play with this theme to include a reference to through each year of the students' lives by including past pictures of peers from elementary and middle school alongside current day pictures. Also, obtain photographs that represent every decade your school has been running, if possible. Looking at the past can bring the present and future into clearer focus. Lace important facts about the past 18 years throughout the yearbook, too, in order to celebrate the lives of the senior class. You can really go in dozens of ways with this theme, so be sure to keep it focused on the points you want to make to avoid going in too many directions at once. You may opt to play up nostalgia, too, with cute art that pays homage to decades of the past. Wax poetic about the big and small moments that have made the past school year so very special with this upbeat theme. Not only does it allow you to focus on the big events that happened during the school year, but you can also dedicate a few pages back to nostalgia of the classmates' past. Accentuate the moments that might be otherwise overlooked. Yes, the moment when the homecoming queen is crowned should be included in all its anticipated glory, but you want to give the underdogs a chance to shine in the annual. Capture exciting moments throughout students' lives in all sorts of ways by asking teens what is most exciting in their lives. Include photos from events within and outside school if possible. Weave the text around making each moment count and similarly focused content about living in the moment. High school can get serious, so having a humor-themed yearbook can truly delight students. Include cartoons or doodle images throughout the annual to keep the light-hearted feel of this theme apparent from the first glance at the cover. You may opt to narrow in on one particular kind of comedy art to display throughout the book, or mix it up with a vast variety of cartoons. Exclude any sort of mean-spirited or adult humor. Keep the focus on clean, teen-related and school-related humor. Place jokes at special places throughout the yearbook. Include key photographs of students laughing and having a good time. This is a book that is specifically designed to help students have a good time in good taste and with kind intentions. Implement this theme throughout the yearbook to bring the focus back to the individual who receives it. This is essentially a celebration of the individual student. Try to ensure that all students are equally represented in photographs throughout the book, so everyone can find themselves. Include an index at the back for easily locating each student; that also helps you more easily track how often each student appears in the book. Whether high school is the moment when someone peaks or a painful period of time, there are great joys and sorrows that everyone goes through. Encourage the individual yearbook owners to personalize their yearbook beyond getting the typical signatures from friends by supplying journaling prompts throughout the book. You may also opt to go in the direction of celebrating people who march to the beat of their own drum with drumming images and references. If there is one thing that many teens battle for more time doing, it's playing video games. Choose this theme for a playful yearbook that pays homage to the video games that are popular this year. You can also take this in the direction of the metaphor of playing to win at life. What's so different between striking out in a video game and missing test questions? Well, aside from the fact that one can impact a grade and ricochet other aspects of life. The layout can be informed by the images and screens of the popular video games, and you can use video game terminology throughout the text when drawing on the metaphor of playing a game and fighting your way through the teen years. The changing seasons are a great metaphor for the many changes that teenagers go through, from their freshmen year to when they are seniors ruling the school. You can use gorgeous, greatly contrasted colors to separate the seasons. 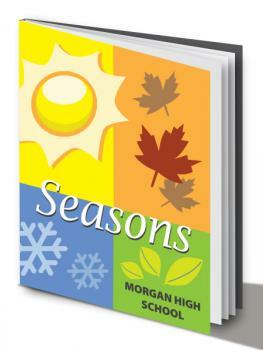 Include sections for summer, autumn, winter, and spring with coinciding text and photographs that chronicle the actual journey through the seasons at school as well as metaphorically capturing the many changes throughout the year and life that teens regularly face. You may opt to include a poem for each season or excerpts from books that are particular to each season. Be encouraging with what you write about change. Although it can be scary, changes can also be very exciting. Choose a movie-themed yearbook to really make students smile. Most teenagers love spending time at the cinema, and there are endless creative directions that you can take this. From doing a class photograph in a theater to taking individual portraits on the red carpet, there are a lot of ways to make the pictures throughout the book fit with the theme in subtle and not-so-subtle ways. You may opt to separate sections of the yearbook to pay homage to iconic teen movies. The cover could be done to emulate a famous movie poster. Include inspiring, humorous, and age-appropriate movie quotes. Allow sections in the yearbook for teens to place their own movie ticket stubs and lists of favorite flicks that they saw the year they graduated. Choosing theme ideas for your yearbook is just the start of this fun, ambitious project. It will take a year and a staff of students to craft and perfect this important keepsake book. While developing your ideas, keep these things in mind. Always give proper credit to the person who suggests the idea you ultimately choose. That means openly thanking them in meetings and placing their name in the yearbook with thanks. Ask for input from students, even they are not on the yearbook staff. It's wise to acknowledge that great ideas can come from anywhere, and receiving creative feedback from other students can help propel a simple theme into a complex, fun masterpiece. When choosing a theme, it is important to remain timeless. While pop culture ideas can work wonders, it is also wise to select a theme that won't have you cringing at your ten-year reunion. People keep their yearbooks for a lifetime. Choose classic styles that project your school's unique flair without relying too heavily upon trends and current ways of thinking. You want your yearbook to be a scrapbook of memories - not a moment frozen awkwardly in time. After your fantastic theme has been chosen, then the real fun begins. Remember to hear the opinions and suggestions of all those involved in its creation, and you will guarantee a year full of creative fun and incredible memories. While you do have a big responsibility to your entire student body when crafting the right sort of yearbook, keep in mind that the reason that you are on the yearbook staff in the first place likely had nothing to do with stressing about deadlines. Keep a sense of fun throughout the whole process and remember to enjoy the journey. Working on the yearbook is a privilege, and you should enjoy the journey.